Tomatin is one of those distilleries – once the largest in Scotland – that was purpose-built to produce malt for use as blending stock. Only recently has the boom in whisky appreciation prompted Tomatin to release and market a single malt. The 12 year in the official lineup from Tomatin is aged in ex-bourbon casks, and then finished for 6 to 9 months in oloroso sherry casks. Nose: Predominant note of candy apple, with undertones of nougat, cinnamon, fruit punch, and breakfast cereal. Standard, in a partially-sherried kind of way. Palate: Nice density to the body, almost silky. Nut skins, shredded wheat, and dried cherries on a bed of hum-drum malt. Finish: Short. Some dried fruit, nougat again, and a hint of bitterness, like over-caramelized sugar. With Water: A few drops of water draw out the tart fruits – cranberries, sour apple, both on the nose and palate. Also some cocktail bitters and marshmallow on the finish. Water isn’t a bad idea here. Overall: Underwhelming. 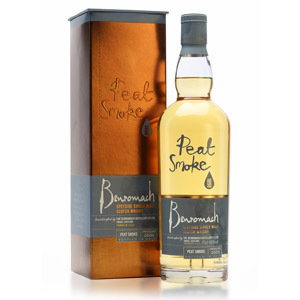 There are some nice “sherried malt” effects, but nothing stands out as worthy of attention. Forgettable. Of course, it’s wisely marketed at the bargain basement price of $23 to $26, which is perfectly in line with its quality. 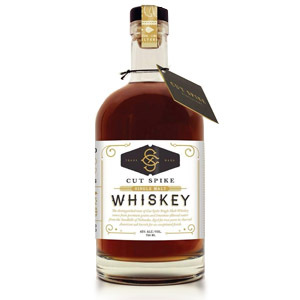 If you’re desperate to find under-$30 malts in a market inundated with price increases, you should give this one a look. Then again, it probably performs best in a blend. Built in 1897 with originally only two stills, Tomatin gradually increased capacity over the years until it reached a crazy 23 stills by 1986, which made it the largest malt distillery in Scotland at the time. It has since removed almost half of its stills, and now boasts the still-respectable number of six pairs. Tomatin also now produces less malt for blending and more for release as single malt, although its reputation remains as a “filler malt” for the blending crowd. The stills are small with long necks and condensers, and the distillery uses a long fermentation. It uses both ex-bourbon casks and sherry butts, but has its own cooperage, which is unusual these days. Process water comes from the Alt na Frith stream that runs through peat-covered quartzite hills and over red granite. It’s no secret that how Scotch tastes depends on all kinds of things, including what you’ve had to eat recently, what your body chemistry is that day, even what the weather is currently. 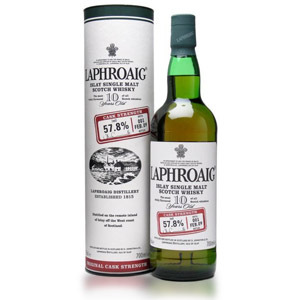 (I’ve had days when Laphroaig 10, a dram I consider a gift from the gods, tasted vile.) 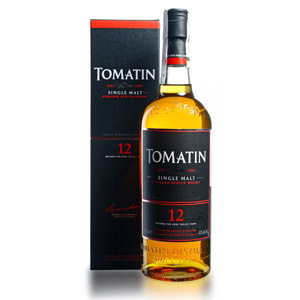 On those days, the days when you can’t tell the difference but just have to have a Scotch, the Tomatin 12 is ideal. And that’s why I have a bottle on hand. Damning with faint praise, I know, but there it is. The Tomatin 15, by the way, is rather better. Yes, it’s available in the U.S. Thanks for the tip! Tomatin 18 tastes like a really good 12 year old whisky – and it’s priced like a 12 year old whisky. I don’t mind that Tomatin isn’t mind-blowingly good because they don’t get greedy on the price. I like the 18 too. I’ve drank a couple of bottles over the last few years but it’s not very common and the bigger stores that have it have other things I like better so unfortunately I don’t drink it often. I think it’s a good everyday scotch. Not like an Isle of Jura 16, or a stately Macallen well into it’s teens. But for the price, it holds its own with other entry level single malts. It works well as a “house scotch” for the decanter. Would I try to impress anyone with it? No, not particularly. But I enjoy it while relaxing at home, and that’s good enough for me, especially at the price. This was my go to daily scotch since I could find it for $18. Was it the best? no but find me another scotch for that money that tasted better. Sadly the store that had this now raised their prices to $32-34 and this opens the playing field a bit more. Had I known, I would have picked up a few bottles to hold me over until I find another daily go-to-scotch. Tried the Tomatin Legacy and just wasn’t as good as the 12 year. Interesting note, I was speaking with a store owner in FL and they mentioned they sent their entire Tomatin 12 year stock back after finding out the distillery added coloring. Not sure how much truth there in this. They highly recommended the 25 yo if you can still find it though. I think a majority of single malts (especially on the low-end) are colored. I generally assume if it doesn’t say something specific on the label that it’s been colored for consistency batch-to-batch. I’ve been convinced that coloring doesn’t affect flavor, but I do prefer that bottlers avoid it. Alas, I don’t know of any decent malts in the $18 range, but I do like Speyburn 10 for the money (no sherry aging, however). Cheers! I was born and brought up in Tomatin. Great parties at the distillery in those days, John Mc Donald was the head then. I have introduced the Tomatin 12 to many Burbon drinking friends and they all liked it much. I buy it by the case on line and just bring it out for special people and occasions. I now live in Tennessee. By the way, Tomatin is located on the Great North Road, on the way to Aviemore, not on the East Coast. Thanks for the correction, Catherine, I’ve updated the map icon on the post. Cheers! Had the great pleasure to visit the distillery several months ago. Wonderful people. None of the expressions I’ve tried so far have wowed me. But, all are great value for money and perfectly inoffensive. Not sure if anyone is aware that Tomatin has changed dramatically in the past few months, part of their image and taste makeover. I remember I tried the same Tomatin years ago and just recently got their “new bottling” Tomatin 12. I assumed “different bottle same rott-gut”, boy oh boy was I wrong! The current market Tomatin 12 is outstanding and tastes no where near what it did even just a few short years ago. Try it again and in its current form, I am glad I did! Van – I too have recently tried the ‘newly released’ Tomatin 12 yr in the gray/green box. It is indeed a vast improvement over their previous offerings from a handful of years ago. For roughly $30 to $35 – it’s certainly worth looking into. I just returned from Scotland and while there, saw a beautiful print of the single malt flavor quadrant chart. This was not a poster, but an actual print with flowers and leaves on the borders. Does anyone know where I can buy this print? Can’t find online and the place I saw it didn’t know where it came from. 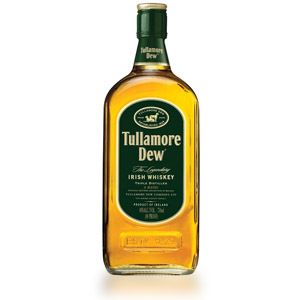 My son got me a bottle of this for my birthday last week and I can say, I liked it. Was it “WOW!” Definitely not. But this will now be a fixture in my cabinet. Some time in the next few days (when I have the time to sit and have a few glasses, I will be comparing side by side to some of my other bottles, especially my Macallan. Not saying it will be better by any stretch but will it show itself to be a cheap substitute? I’ll see what my tastebuds say. But I have no issues drinking the Tomatin, it’s a decent whiskey for the price. I’ll check back in on my thoughts from the comparison. Did the comparison. You definitely tell which is which. That said, my palate did tell me that Tomatin will make a cheaper substitute. I’ll be happy to stick with tomatin and not replenish my Macallan. Getting too expensive anyways.